I finally went down to the chef and got the recipe…this dates to some time in December 1990. Today my refrigerator always has freshly made hummus, flavoured to my fancy—rosemary, burnt garlic, grilled red bell pepper, parsley, pepper.. you name it and if it’s a good enough combination, I’ve made it. 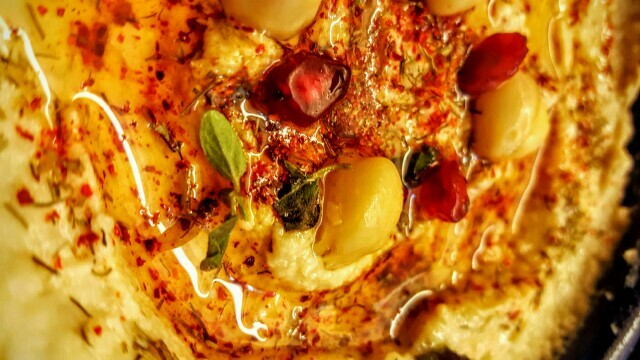 What I present here is the basic recipe for a simple hummus. If you’re on a diet, it’s a must have. Clean calories and loaded with Vitamin B, Magnesium and Fibre. 250 grams of chickpeas, soaked overnight in water. 1. Boil the soaked chickpeas and de-skin them. This ensures your hummus has a smooth texture. Save a couple of chickpeas aside. 2. Next grind the chickpeas with the sesame seeds, (if you have tahini use that instead of sesame seeds. For 250 grams of chickpeas you would need about 2 tablespoons of tahini), garlic, lemon juice, salt and pepper. 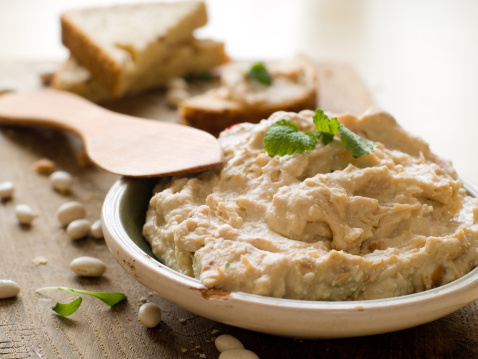 Use the water that was used to boil the chickpeas to bring your hummus to the right consistency. 3. 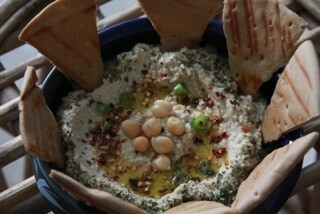 Then start adding the olive oil, while the food processor is still on to give your hummus that creamy consistency. 4. 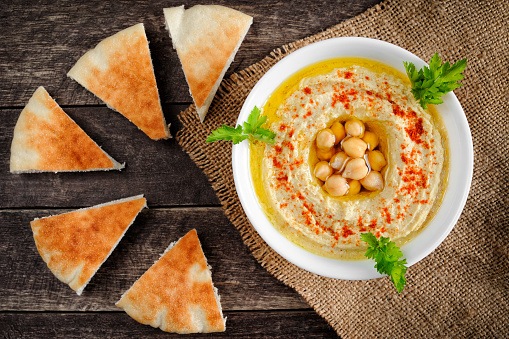 Dress the hummus with paprika, chopped green chilli, lemon juice and finally drizzle olive oil all over before serving it with grilled pita.